This book addresses myths surrounding teen weight, common reasons that teens carry extra pounds, and ways for parents to avoid blunders that are made when trying to help or motivate their teens. 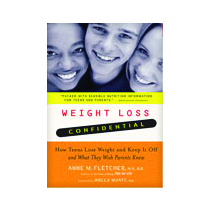 In Weight Loss Confidential: How Teens Lose Weight and Keep It Off – and What They Wish Parents Knew by Anne Fletcher M.S. R.D., Parents get a candid picture of teen perspectives regarding achieving a healthy weight, alongside research-based advice, and testimonials from leading experts in the field. The objective, yet gentle tone of this book is a welcome introduction for all parents who have a teen that struggles with being overweight. Using real-life stories from teens who have overcome major obstacles to reach and maintain healthy weights, the reader will be invited into the complex world that teens encounter, and will be empowered with practical strategies to support, rather than hinder, the weight loss goals of their own children. The final section of the book is devoted to providing resources for parents and teens, such as websites and established weight loss programs. 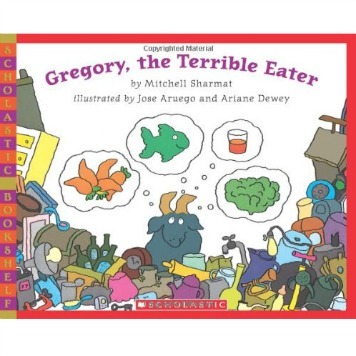 This is an excellent book for parents who wish to nurture a healthy home environment regarding weight, health, and body image for children of all ages. One unique component of this book is all the personal anecdotes from real teenagers. What made you decide to highlight their stories? I thought about doing this book ten years before I did it because I realized that my own teenage son was becoming heavy. The initial seeds were sown for him to lose weight when he met another boy who had lost weight. I remember he came home and told me all about it and was so excited to have someone to talk about it with. We have this image that all teens are dieting in crazy ways and I decided I wanted to write a book using teens that had lost weight in healthy ways. The whole idea was to show that there really are teens who can do this and who lose significant amounts of weight. 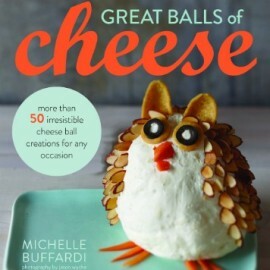 I remember writing to my editor saying that this was a great book idea. I didn’t pursue it at the time because it wasn’t politically correct then to talk about weight management in kids, and then we started to see these numbers increasing with children and teens overweight. Then, my son’s senior year he decided to lose weight. His incentive was to go off to college and didn’t want to be self-conscious, so the rest is history. Many parents have good intentions about encouraging their children towards weight loss, but sometimes these efforts hinder, rather than help. Based on your interviews, what were some experiences that teens shared? I think a lot of parents think that getting on their kid’s back will help improve the problem or make their children more aware of it. These attempts can be overt comments, like, “Don’t you think you’ve had enough?” or subtle, “Why don’t you order this instead?” I heard this a lot from teens. And unfortunately, this can often backfire. Also, my impression is, that somehow it’s more culturally acceptable to razz a guy about his weight, but it still hurts. At least one of the teens talked about his coach making comments about his weight. These are hurtful experiences that do not help. Another surprising, though less common finding that comes to mind, was that some teens are bothered when you tell them that they look ok when they don’t. I think kids value honesty but fed in a gentle way. One parent shared with me that her son resented her and her husband for telling him that he looked fine in clothing when he really didn’t. As a nutrition expert and mom can you share 3 tips to achieving overall balance in diet, fitness, and health? Get rid of the diet mentality. Well-balanced diets can be helpful if they are not too restrictive, but in the long run, people who lose weight and keep it off stop making the distinction between what they do to lose weight and what they do to keep it off. Don’t deprive yourself. Based on my interviews with both adults and teens, it is clear that denying your favorite foods can set yourself up for failure. It doesn’t mean having a hot fudge sundae daily, but it does mean allowing for treats from time to time. Find ways to be physically active that you like, or at least don’t hate. This is a very common theme among successful people who have lost weight. Not everyone will love exercise, but it is important to choose activities that do not make you miserable. I used to push myself to swim for exercise, but I realized that I just hated being in the water. It is difficult to keep those activities up. I think activity just has to be part of life, like putting on a seatbelt. Here are some fun fitness ideas you might enjoy. Often parents are nervous to broach the issue of overweight or obesity with their children, due to the concern of causing poor self-esteem or an eating disorder. Is it appropriate for a parent to initiate a conversation about weight gain that they notice in their teen, or is it best for them to wait for the child to open up about it? Talk with your pediatrician. I think so much of the approach depends on the specific child. For example, when I saw that my son Wes was gaining weight, I called the doctor and talked about it. The doctor said he would bring it up to Wes during his annual exam, and that if it was a concern to him then they would address it, otherwise they would leave it alone. I think it was the right thing for him, as he is very headstrong and the message was better coming from his doctor. A good pediatrician should be able to do this. However, I have heard of some pediatricians saying very shaming things to teenagers, so you need to work with a healthcare provider that you trust. What should parents and teens look for in a weight loss program? Look at all options and evaluate what is reasonable based on time and budget. Individualized approaches (visiting a dietitian for one-on-one counseling) are often more expensive than group approaches. A legitimate program will not focus just on food. There should be an appropriate emphasis on behavior modification, physical activity, and healthy eating. The length of the program is an important factor to consider. For a child who is really overweight, 4 weeks probably isn’t going to be enough. Look at the credentials of the people who run it. Ideally a comprehensive program will have a registered dietitian, someone with exercise expertise, etc. It can be very disappointing to see a child lose weight, only to gain it back again in a few months. How can a parent be a support to a child who has “yo-yo” weight loss/gain? Being supportive. The key is not to be critical or to have an attitude of “Here we go again”. I went through this experience with my son. He went from the I’m-Gonna-Eat-Like-Mom Diet, to the JELLO Diet, to the Do-It-For-Me Diet. I think being supportive, asking how you can help, and acknowledging when your child is feeling discouraged are the best approaches. Sometimes the hardest thing is accepting that your child doesn’t want help yet, and waiting for when they come around. Do not be a yo-yo dieter yourself. To be a role model for healthy weight management, you need to eat healthful foods and exercise. Many parent that I interviewed expressed that if you want your kids to listen, you must walk the walk. Have healthy foods in the house and be physically active. Can you share with our readers 3 strategies for parents of small children who want to foster a healthy environment early on for their future teens? Don’t let unhealthy patterns get started. It doesn’t mean never allowing treats, but it means having brown bread, and introducing small children to healthy foods early. Get kids outside and being active. Being a role model in this way will make a big difference. Would you share with our readers a few tips from overweight teens mentioned on how to get started with exercise? Food is often used as a way to celebrate important events and reward good behavior in children of all ages (i.e. candy used to potty train children, ice cream sundaes for good grades, etc.). Based on your experience, what rewards would you suggest parents do away with, and which they should adopt instead? I think having events that are not food-based are the best rewards. Some examples from my book include parents who reward teens with a sleepover, going to a movie or concert, or getting their hair colored or ears pierced. My favorite story was of a mother and a daughter who would go to the drug store and just read funny greeting cards together to laugh and do something instead of eating. I think a night out with Mom or Dad is often a great way to spend time, without the emphasis on food. Here are some more great Non-Food Rewards. Some parents might believe that an overweight teen should simply learn self-control and avoid all the “goodies” in the house, especially if they have multiple children and only one has a weight problem. Is it realistic for a teen to be successful in this environment? Involve children in the decision about what treats will be around. With teens especially, you don’t want to have an overly restrictive home. Teenagers are by nature, oppositional, and will reject a top-down approach when it comes to food. Of course, every approach depends on the particular child, and having junk food around all the time is not healthy. But maybe you go out for ice cream once a week, or buy x number of treats a week, or make something as a family once a week. I think mixing it up, and letting your kids be involved will reduce the stigma of wanting food they can’t have. The award-winning health and medical journalist Anne M. Fletcher, M.S., R.D. is frequently sought out for her knowledge about weight management, lifestyle change, and addiction. Her latest book is Weight Loss Confidential: How Teens Lose Weight and Keep It Off – And What They Wish Parents Knew, featured on the “Today Show”, the “Early Show”, and in the New York Times, USA Today, USA Weekend, US News and World Report. The companion book, Weight Loss Confidential Journal: Week-By-Week Success Strategies for Teens from Teens, was released in January of 2008. She is also the author of national bestsellers Thin For Life, Eating Thin For Life, and Sober For Good, as well as the Thin For Life Daybook. All of her books are published by Houghton Mifflin Company. As a registered dietitian with a Masters degree in nutrition science, Fletcher has counseled hundreds of clients with weight problems. She is a former executive editor and chief writer of the Tufts University Health & Nutrition Letter and was a contributing editor for Prevention Magazine.